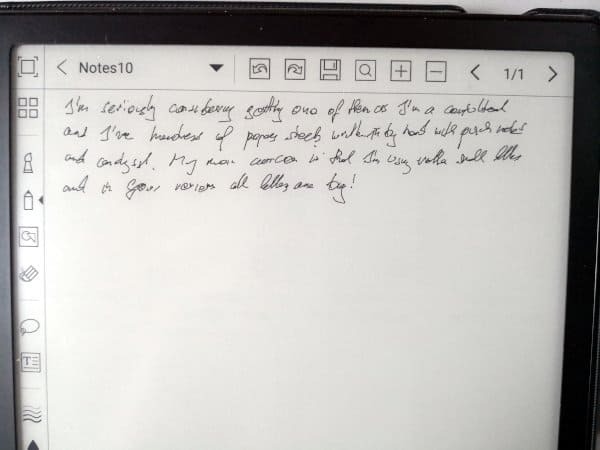 Onyx Boox Note is a great device for reading, writing, note taking. I have written about my first impressions with this device here, and since then I have used the device heavily. 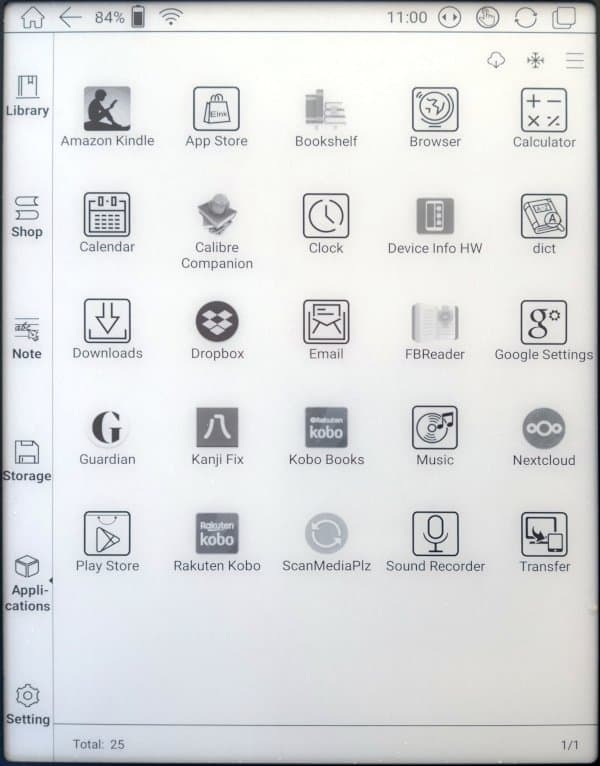 I don’t even remember when I last took my Kobo GloHD in hand since I got the Boox. 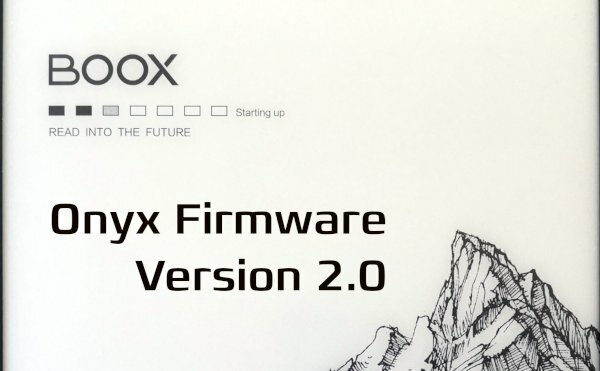 Onyx has announced a new firmware version (2.0) with a flashy video. 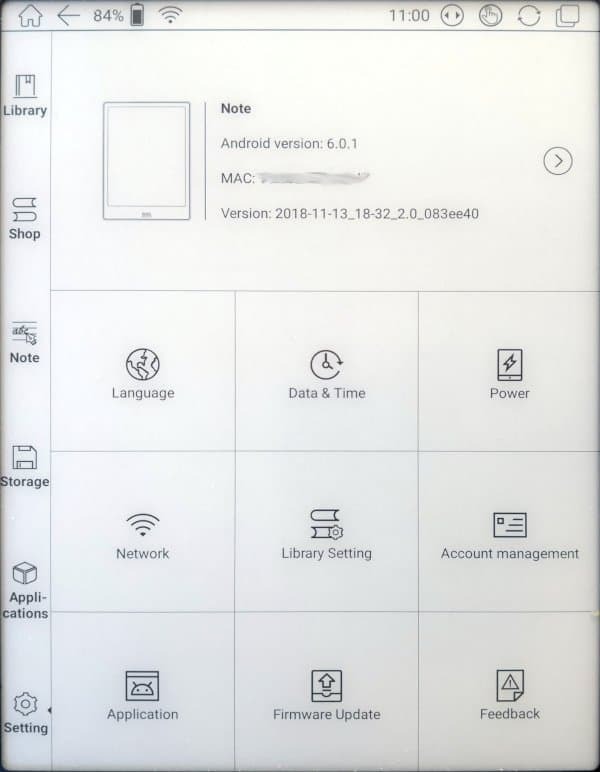 The firmware is not generally available, but a hint in the forums tells that switching to Chinese will get you the latest firmware. Well, I have tried it, and after installation of the latest version switched back to English. Here are my experiences with the new firmware. The new library page (front page) has changed considerably. Instead of the big cover of the last read book and much smaller covers of the recently read books, all are arranged in the same size. Further information like the format of the book and the progress are overlaid on top of the cover. The icons on the top right allow for filtering, searching, creation of sub-libraries (folders). The bottom shows the total number of books and libraries. 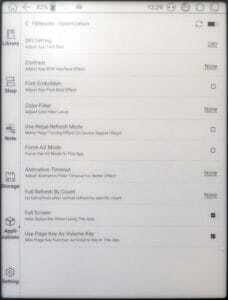 I prefer this layout a lot over the previous as it gives me immediate access to most of the recently read books. 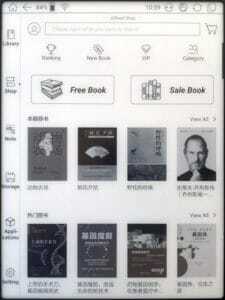 There is a new shop available, but for now it seems most books are in Chinese only, which doesn’t help me a lot. I haven’t really checked out and searched books there for now, but I guess over time and with the general availability of the firmware in the next months better support for (at least) English books is to be expected. 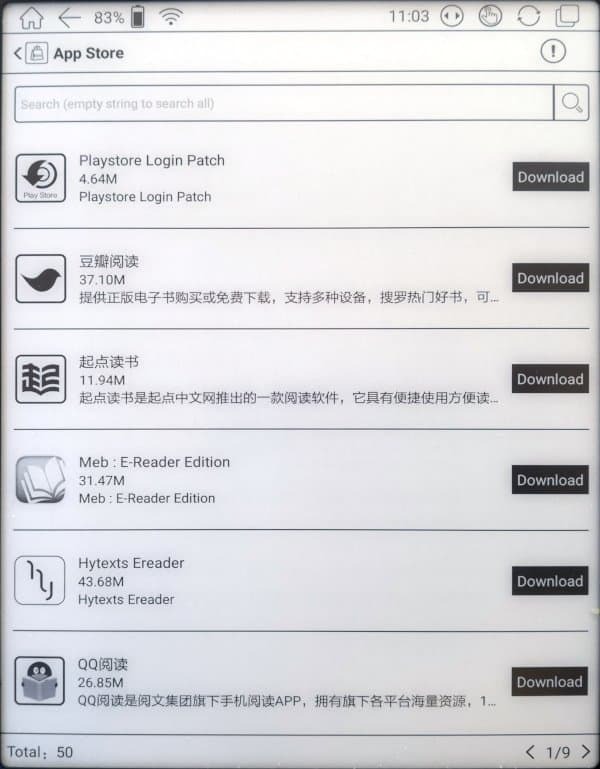 There is also a new AppStore (link to image) but again, most of the apps are in Chinese so not very helpful. I hope that in the similar vein with the above, a global release will improve this situation. The storage page is quite bare, a simple file manager. I don’t think anything has changed from the previous firmware. 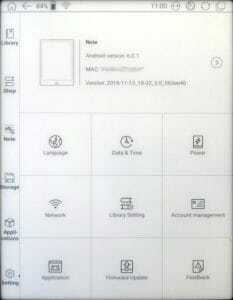 One can explore the content of the device, copy/move/delete files etc. All very much in usual Android style. The application page (not shown here, link to image) hasn’t changed a lot, but allows now for per-app optimization as shown on the left. There is an Onyx-specific app store with applications optimized for the Boox devices, but most apps installed via Google Play (or any other method) aren’t optimized. This screen seems to allow for various tweaks to optimize appearance of apps that are not made for grey-scale screens. I haven’t used many of the non-native apps by now, though. The settings screen got a complete renewal with several new items appearing there. Most of the items are no new functionality, but there is one new seriously niWell, I have tried it, and after installation of the latest version switched back to English. 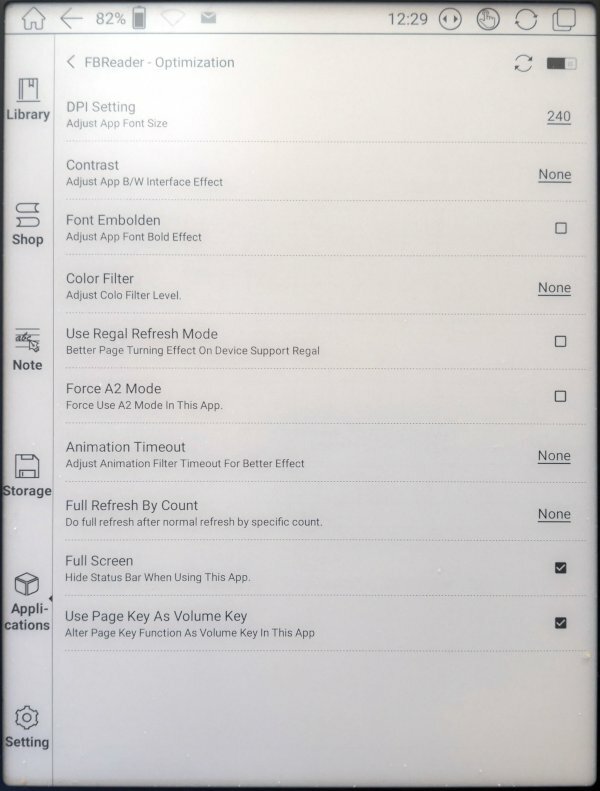 Here are my experiences with the new firmware.ce feature – synchronization of notes taken. 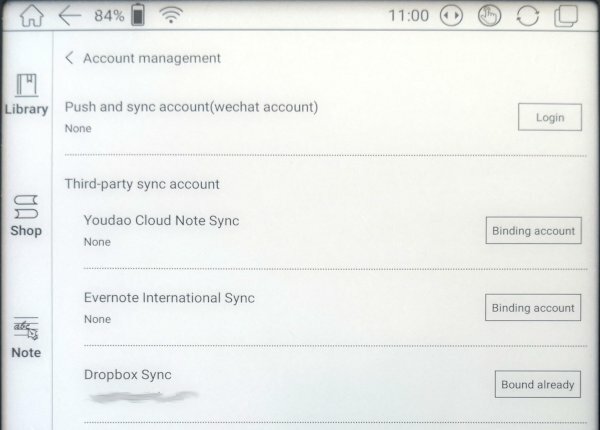 There are several providers, most importantly Dropbox and some Chinese typical services. 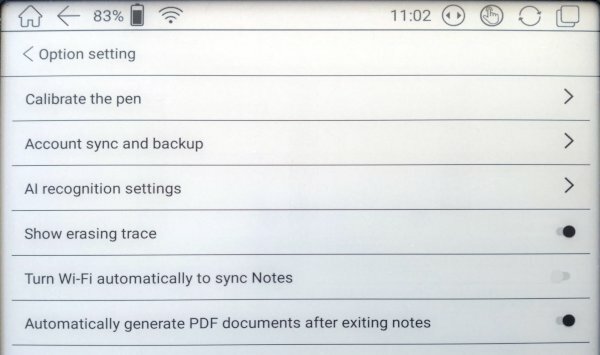 And with Wifi on the notes are saved nicely into my Dropbox account, which makes the tedious connecting to computer and copying a thing of the past. Thanks! Let us finally go to the Notes application, which got the biggest update in this round. 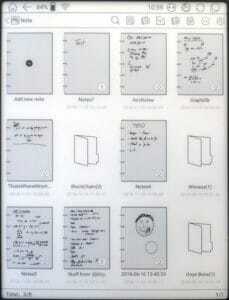 The entry page of the application hasn’t changed a lot, allowing for sorting of notes, creation of folders etc. What is interesting is the ability to edit hand-written notes: select, copy, paste, resize, transform. It allows also to type text everywhere (see the teaser video linked at the top for details). 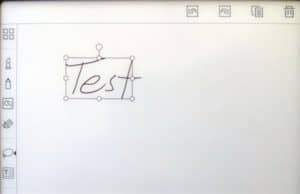 Another feature that is presented in the teaser video is the text recognition and search in the content of hand-written notes. I have tried this a few times, but it seems my hand-writing is so bad that it wasn’t recognized. 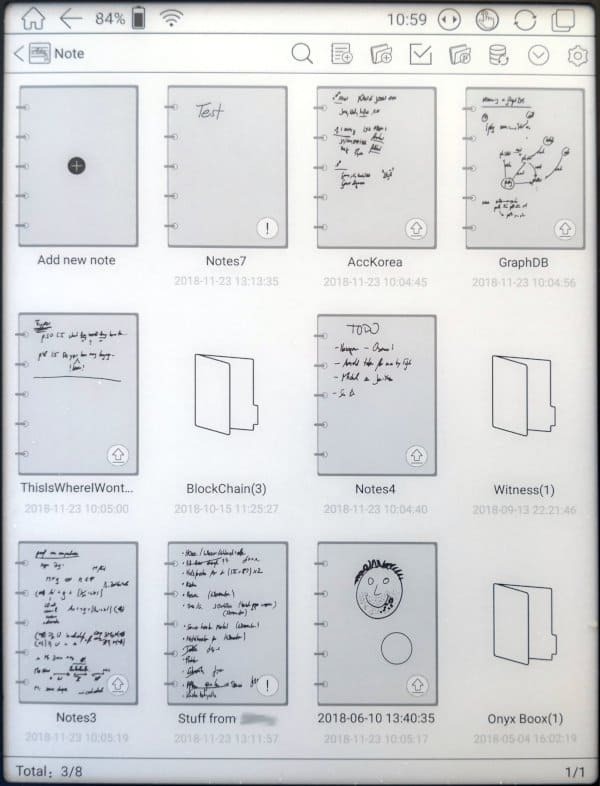 The Notes application got a lot of new settings, most prominently the AI recognition settings which allows selecting the main language of hand-writing recognition. The language support seems to be impressive, including Japanese, but as I said, I didn’t manage by now to actually get it to find one of my notes. Another item is that search takes quite some time to go through all notes. Maybe only the first time, though. 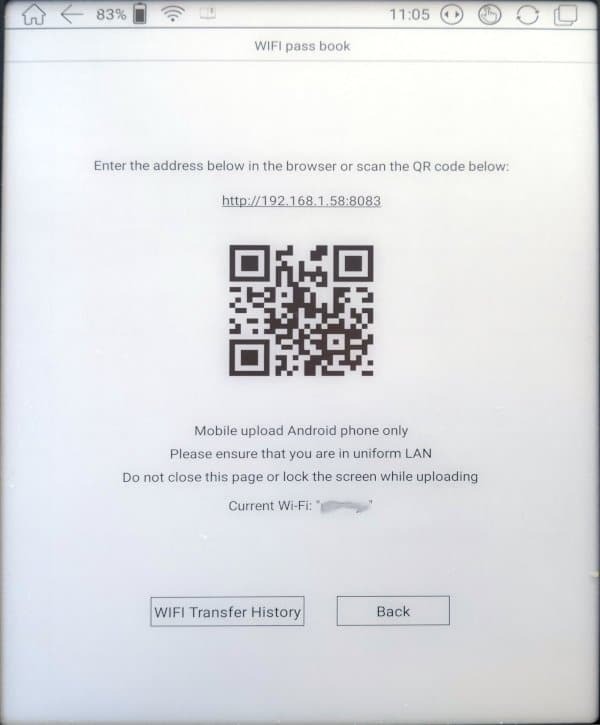 One last new feature I found while digging through the menus is a Wifi Hotspot to allow for up/download of files from mobiles or other Wifi client devices. Not sure whether I will have use for it, but it might be a nice way to share books to friends without using a computer. All in all I think after some polishing (the English translations are currently horrible at times) and bug fixing, this firmware is a great addition and step forward for the Onyx devices. 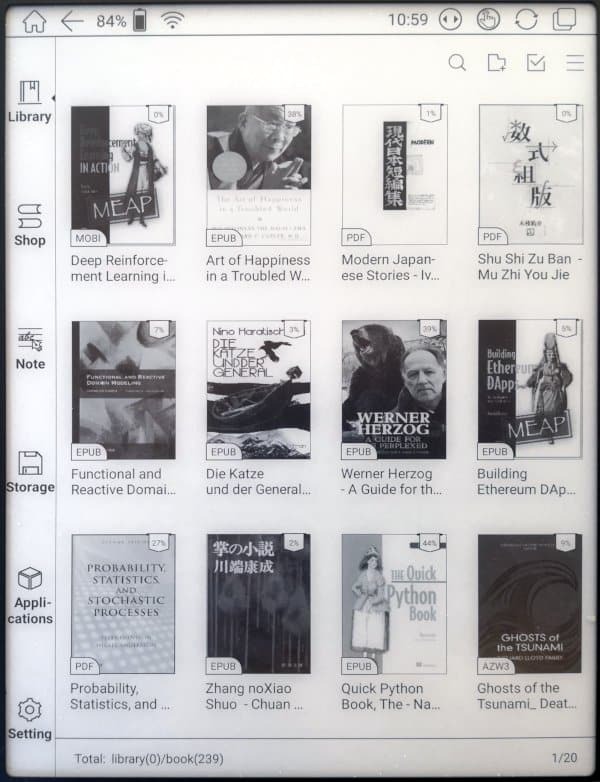 There is only one really strange thing I experienced during the upgrade to version 2.0, namely that some of my books got corrupted during the process, and the NeoReader couldn’t open them anymore. I have no idea why some books were affected and some not, but it is not a matter of format I found. Removing them from the device and reloading them from Calibre fixed these problems. Last comment for today: during writing this blog I switched to Chinese again and got a new version via OTA update (2018-11-22_10-36_2.0.3dcbcf5). Not sure what has changed, though. a) there is any free software for it? b) an XMPP (chat) client, free or non-free? since it is more or less an Android 6 system, I guess you can install whatever works with this version of Android. I don’t use xmpp a lot, but I am sure there are hundreds of options available. and the respective PDF created automatically.. 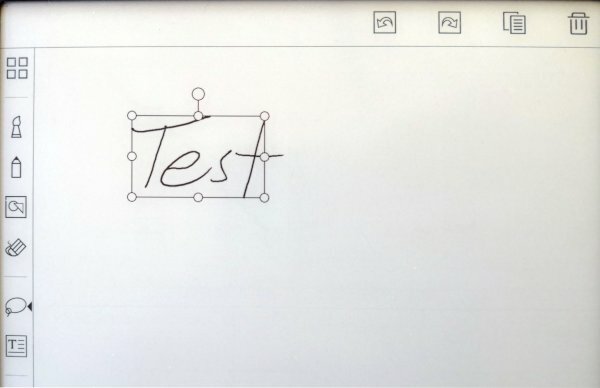 I think the limit is on how good you can write with a clumsy tool on the screen. You have to take into account that it is not real A4, so everything you write in your smallest letters is increased by some percent when exported to A4. Great appraisal thank you. I’m just getting used to the upgrade and miss the easy link to the last book read. The first book on the front screen is the one last read … unless you changed the order of book display. 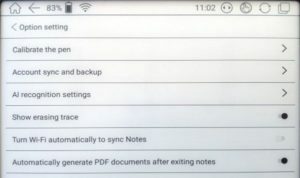 I understand it is possible to synchronize notes with dropbox, but is it possible to do the same with pdf articles that were annotated? I.e. 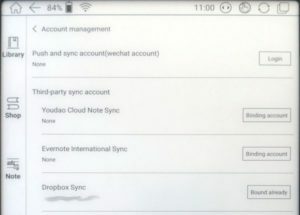 pdf articles are stored into dropbox’s cloud and are synchonized with my computer and Onyx – when I edit a document in Onyx while using wifi it is almost instantly synchronized with my computer. Good question – I don’t think this is possible out of the box, but one can install the Dropbox client and dedicate a directory to it, and put the pdfs there. This *should* work as expected, but I haven’t actually tried it. Thank you for the reply! I will try to find out whether this is really feasible, as this would be my main use of the Onyx if I was to buy it.